Put away your beloved gadgets back in their proper place. 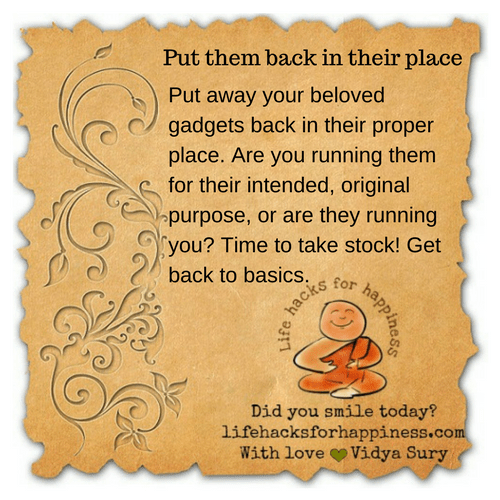 Are you running them for their intended, original purpose, or are they running you? Time to take stock! Get back to basics.